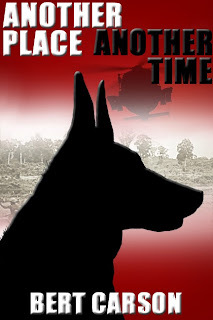 Whispers, an awesome German Shepherd and Traveler, his amazing great grandson change the lives of two men. Leonard Jacobson, a charismatic, unassuming genius, was drafted three months after he finished high school. He spent sixteen weeks in basic training, twice the normal time frame, before moving on to advanced infantry training. In AIT, his company commander, Captain Kennedy, a recent returnee from Vietnam recognized a kindred spirit and introduced the young man to the world of Scout Dogs. Leonard took one look at the dogs and determined to become a Scout Dog Handler - a year later he met his partner Whispers, and his life was changed forever. Luke Jenson had two brothers. One was a lawyer, the other a doctor. Luke's father, Robert, a long haul truck driver, told Luke to choose a profession and he would pay for his education. Luke told his dad he wanted to be a long haul truck driver. Robert tried to talk him out of it, to no avail. Finally he agreed to teach Luke to drive. After a long apprenticeship, Robert made Luke his partner. A few years later Robert passed away. Luke elected to continue trucking alone. On afternoon, half way up Mount Eagle, in central Tennessee, Luke saw a near-dead German Shepherd on the shoulder of the interstate, struggling to reach the top. Without think he pulled the rig over, carried the exhausted dog to the truck, and delivered him to nearest vet. A few weeks later, Traveler, the great great grandson of Whispers became Luke's partner. Ultimately, through the most unlikely event, Luke and Jake meet. ˃˃˃ "Not only a warm and unusual story about a couple of dogs and their best friends, but with adventures that will make you forget dinner just to read more pages." ˃˃˃ "This is a different kind of war story, uplifting and wise, eloquent and yet with a tendency toward the paranormal. The writing is beautiful, as are the bonds between men, and between man and dog. Highly recommended."